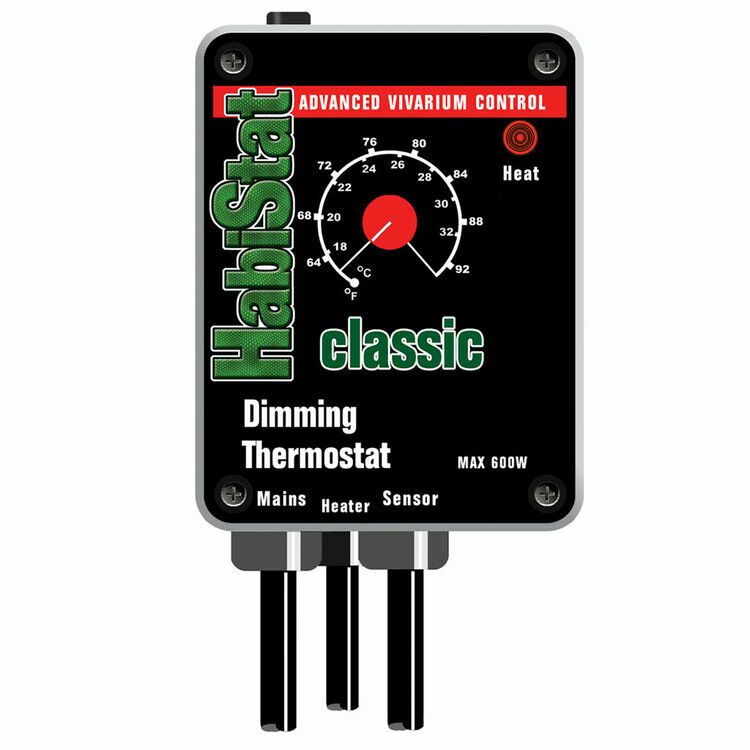 This Habistat Dimming Thermostat is a perfect solution to the crucial issue of keeping your reptile's habitat at the correct temperature. 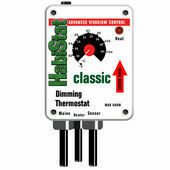 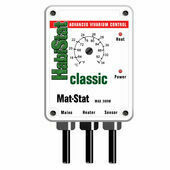 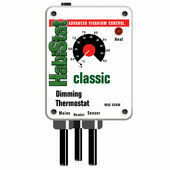 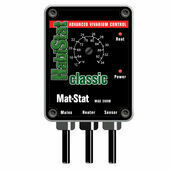 The Habistat Dimming Thermostat is designed specifically for controlling light bulbs. 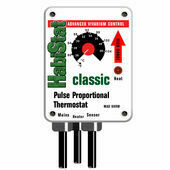 however it can be used with almost any other heater types. 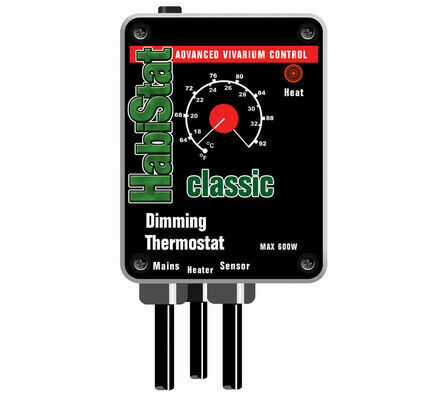 Dimming thermostats are extremely accurate when controlling light emitting heat sources such as light bulbs, they do this by constantly adjusting the amount of power sent to the bulb based on the feedback from the temperature sensor which is placed in your reptiles vivarium. 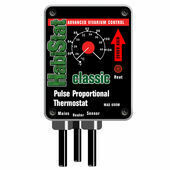 This is an advantage over simpler on/off thermostats because there are no temperature fluctuations caused by the heat source being completely turned on or off. 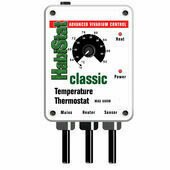 This is the only thermostat we recommend for use with incandescent light bulbs. 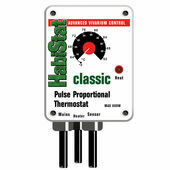 It uses the latest technology and operates in a manner similar to the Pulse proportional thermostat. 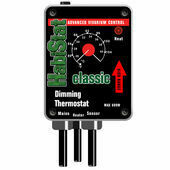 This dimming thermostat is also available in white.